Owning a Udio Plastic Card allows you to use your Udio card to swipe at various offline stores same like as you use VISA cards, as well as you can also shop online and get over 1 million merchants and get amazing offers and discounts. So today in this tutorial I will show you how one can Order a plastic card or physical card. 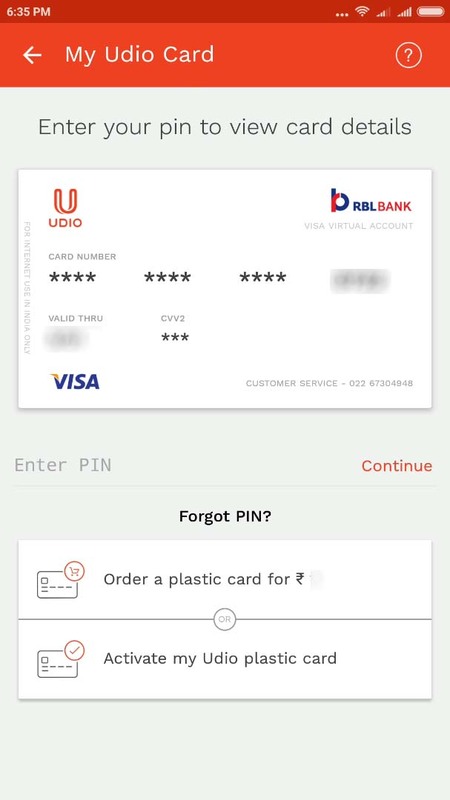 If you want to Order Udio Plastic Card you will have to keep Rs.99/- or above balance in your wallet as once you order the card it will deduct Rs.99/- from your wallet to issue you Udio Physical Card. Once the Udio App launches from home screen tap on option under that select My Udio Card by tapping on it. 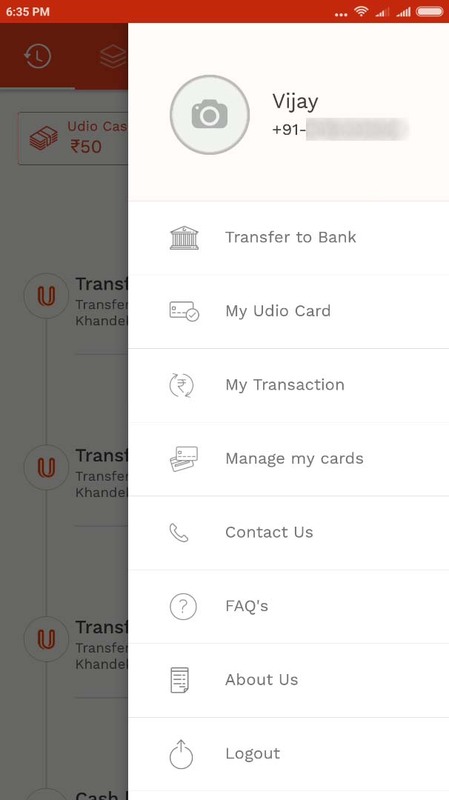 You will be navigated to My Udio Card section in which you will be able to see your Udio Card, so now to get Udio Plastic Card from below option tap on Order a plastic card. On next screen you will be asked to enter your personal details like gender, full name, DOB, mother’s maiden name, mailing address for delivery and once you enter all these details just tap on Order Card button. 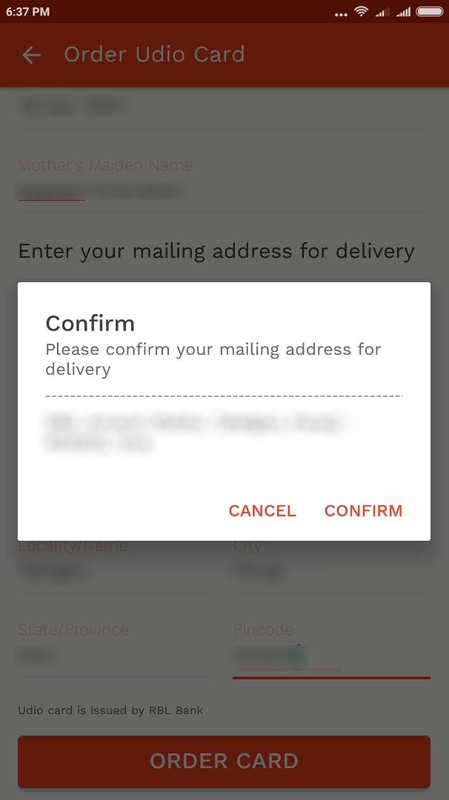 Once you tap on Order Card next you will asked to confirm your mailing address for delivery, so if everything is correct just tap on confirm button to proceed further. That’s it, below you will see message Awesome! You will soon be a proud owner of an Udio Card. You will soon receive your Udio Physical Card to your mailing address as you had entered while ordering the card.